t's not what I expected..it's not the same color lens in the picture in lensvillage.com,. Been bought twice color blue last December 2014 and January 2015... so far lensvillage.com is okay. I always like natural blue lens that can blend well in my dark eyes. So not long ago, I’ve decided to try out the G 307 Gothic 3 Tones Blue Lens. It is exactly what I was trying to find. 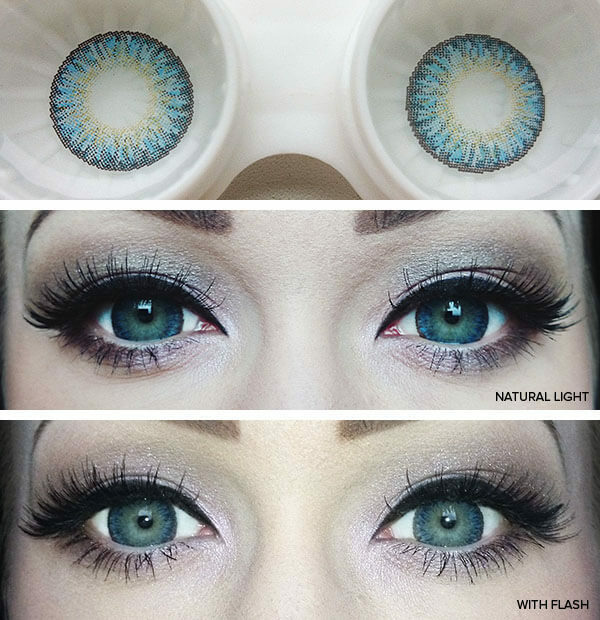 The natural looking contacts are nice to wear and the design is in 3 tones that is so vibrant.